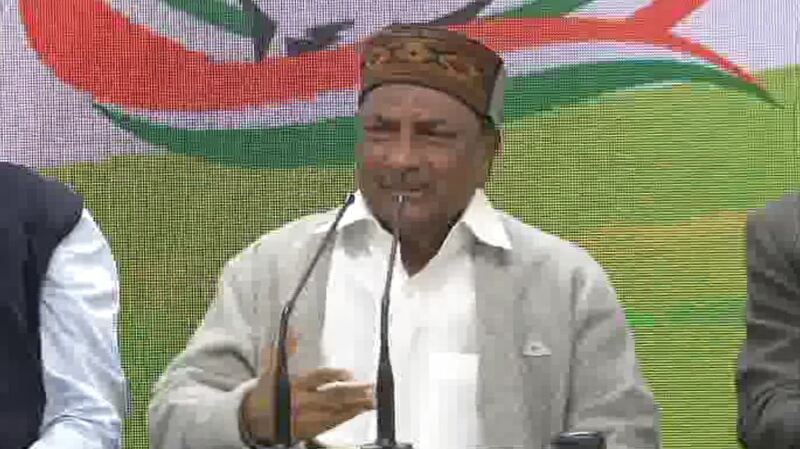 New Delhi [India], Mar 5 (ANI): Former Defence Minister AK Antony on Tuesday accused Prime Minister Narendra Modi led NDA government at the Centre of not taking note of alleged irregularities committed in the price determination process for procuring Rafale fighter jets. New Delhi [India], Feb 22 (ANI): The Supreme Court on February 26 will hear a petition, which seeks review of its December 14, 2018 judgement on Rafale fighter jet deal in which the apex court had refused to order a probe into the deal of procuring 36 Rafale fighter planes from France. Noida (Uttar Pradesh) [India], Jan 29 (ANI): Former Bharatiya Janata Party (BJP) leader Yashwant Sinha on Tuesday said that former Defence Minister George Fernandes was a very simple man and used to travel in economy class even when he a part of the Union Cabinet. Kolkata (West Bengal) [India], Jan 19 (ANI): Former BJP ministers Yashwant Sinha and Arun Shourie on Saturday shared dais with a conglomeration of opposition leaders here and pushed for intensive efforts to oust the Narendra Modi government, feeling it was doable. New Delhi [India], Jan 2 (ANI): Petitioners in Rafale fighter jet deal case - Yashwant Sinha, Arun Shourie and Prashant Bhushan - on Wednesday moved the Supreme Court for review of the Rafale judegment. New Delhi [India], Jan 2 (ANI): Former union ministers Arun Shourie and Yashwant Sinha, along with advocate Prashant Bhushan will move to the Supreme Court for review of Rafale judgement. New Delhi [India], Dec 14 (ANI): Petitioners in Rafale fighter jet deal - Yashwant Sinha, Arun Shourie and Prashant Bhushan on Friday expressed their disappointment over the Supreme Court's verdict into the Rafale fighter jet deal. New Delhi [India], Nov 7 (ANI): The Rajasthan unit of Bharatiya Janata Party (BJP) extended birthday greetings to Yashwant Sinha, who exited the party in April this year.